The Agriculture Committees of Congress are among the oldest; established in 1820 in the House and 1825 in the Senate. Today, the marquee legislative responsibility of these committees is a comprehensive package of agriculture, conservation, rural development, research, and food assistance known as the farm bill. Below is a title-by-title history and guide to this policy, which affects every single American and global citizen in the most fundamental of ways. Since the nation’s beginnings, we have had policies to incentivize the production of staple crops – wheat, corn, cotton, etc. – that are essential to society. Prior to the 1930s, this policy consisted largely of granting land to pioneer families, offering credit and supporting them through research colleges known as land-grant institutions. The mechanical revolution of the early 1900s revolutionized the world market for staple crops, and also gave farmers the ability to multiply their output by farming more ground. 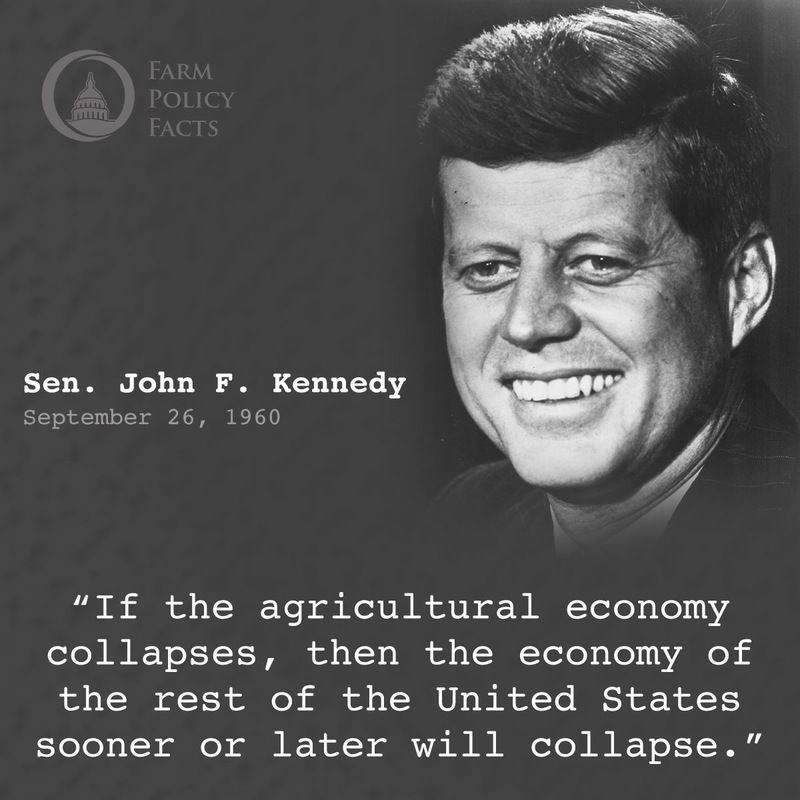 In the United States, as prices for goods plummeted, farmers plowed more ground to try to make up for lost income. This reality, coinciding with a terrible drought affecting the Heartland and the Great Depression affecting our cities, set the stage for the first farm bill: the Agricultural Adjustment Act of 1933. Realizing that the land was our most precious resource and the economic incentive for any single farm family was to produce more, the original farm bill provided incentives for individual farmers not to over-produce, thereby seeking to stabilize the marketplace. The Agriculture Stabilization and Conservation Service was established in virtually every county in the nation to catalog our nation’s farmland, and work with farm families to increase productivity and take care of the land. Today, Title I is designed to provide specific forms of income assistance without interfering with the market, and is compatible with our free trade goals and obligations under the World Trade Organization. Crops covered include barley, corn, pulse crops, rice, sorghum, soybeans, wheat, and minor oilseeds. Dairy and sugar also have provisions under Title I. Under the most recent 2014 Farm Bill, several significant changes were adopted. Income assistance is only provided in cases of significant yield losses in an area or deep price-based losses. Cotton was eliminated as a program crop. Dairy was transitioned to a margin protection program, and livestock producers were given additional protections. Spending on Title I programs is far less than it has been historically and for the last 10 years has been less than one-quarter of percent of our federal budget. Americans enjoy the most stable and least expensive food supply of any people in the history of mankind, and have not experienced a major disruption in the food supply in our history. 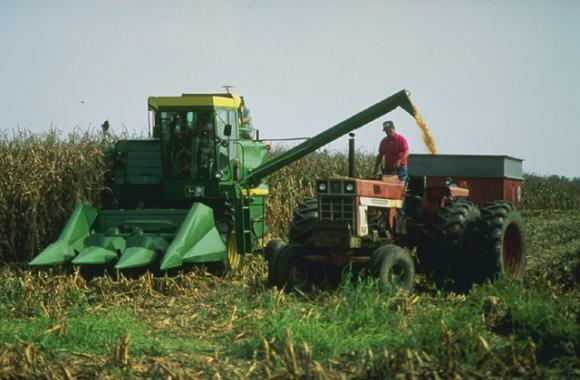 As noted, conservation was one of the primary purposes of the original farm bill as incentives were created to allow farmers to cut back on their acreage. Starting in the Dust Bowl days of the 1930s, the United States Department of Agriculture (USDA) Natural Resource Conservation Service (NRCS) organized and worked with locally led Soil and Water Conservation Districts to help farmers with terraces, shelterbelts, and other conservation techniques. In the 1950s, a “soil bank” was created to put the most highly erodible ground back into grass or other conservation uses. In the 1970s, new authorities were created to help farmers as other laws like the Clean Water, Clean Air, and the Endangered Species Acts came into existence. The 1985 Farm Bill created, for the first time, a conservation title with the Conservation Reserve Program (CRP) and the Wetlands Reserve Program (WRP). Since 1996, the conservation title has focused more on working lands cost-share assistance through programs such as the Environmental Quality Incentives Program (EQIP), the Wildlife Habitat Incentives Program (WHIP), and the Conservation Security Program (CSP). Spending on conservation programs has grown to roughly $5 billion per year. These programs are important tools for farmers, as often conservation practices do not translate to profit. From its desperate beginnings in the Dust bowl, the NRCS has worked with farm families to create the most sustainable and efficient agricultural industry in history. Trade is essential to agriculture, and the export of goods like tobacco and cotton were essential to our nation’s beginning. Most of the jurisdiction of trade matters lies in other committees of Congress, such as the Ways and Means Committee in the House and the Finance Committee in the Senate, where agriculture still represents one of our nation’s strongest trade sectors. The U.S. today has the lowest tariffs and trade protections on agriculture goods of any nation in the world. This is because most nations use a collection of import tariffs, export subsidies, and other trade barriers to protect their farmers. This is not surprising as no country wants to be dependent upon imports, but it does put U.S. farmers at a distinct disadvantage in the world marketplace. In the 1960s, 70s, and 80s, a series of programs were developed for humanitarian and trade development purposes and these have been amended in Title III of recent farm bills. The Food for Peace program is the primary means by which we ship U.S. staple commodities to the world’s most needy, which serves diplomatic, humanitarian, and market development purposes. Title III also includes a Market Access Program (MAP) to help U.S. branded goods get established in foreign markets, and various credit authorities for making sales in certain foreign countries. All Title III programs are discretionary accounts funded by yearly appropriations. Commonly known as “food stamps,” today’s Supplemental Nutrition Assistance Program (SNAP) is the largest component of the farm bill. The federal program was first created in the mid-1960s as part of the “great society” acts of the Johnson Administration. It was first included in the farm bill in 1973. Nutrition programs are 78 percent of all mandatory spending in the farm bill today. Its cost has increased over time. It was 53 percent of the 2002 Farm Bill and 66 percent of the 2008 Farm Bill. These programs generally qualify people for vouchers or cash assistance for qualified food purchases based on income and asset tests. In FY2014, roughly 46.5 million Americans were receiving SNAP benefits, averaging $125 per person per month. Farmers are typically land rich, but cash poor, so credit has long been an essential part of the agricultural enterprise. Often though, because of the cyclical nature of farm businesses, that credit is too risky for private commercial lending. The Farm Credit Service was created in 1916. It was later known as the Farmers Home Administration (FmHA) and was consolidated into one of the functions of the Farm Service Agency (FSA). FSA offers direct loans and also guarantees loans with partner banks and farm credit institutions to farmers. These loan programs are funded through annual appropriations. The authorities, along with the Title VI rural development authorities, were only first included in a farm bill in the 1990s. In the 2014 Farm Bill, new provisions were included to help Beginning Farmers and Ranchers. This title uses many of the same authorities as the credit title, but supports rural business and community programs, including rural electric and telecommunications services, rural water, and sewer infrastructure, rural hospitals and healthcare, among other programs. The loan and some small grant programs under this title operate at a relatively low cost and are all funded by annual appropriations. The assistance is justified by the cost of infrastructure per person (sewer lines, power lines, etc. ), which is so much higher in rural areas. A prominent example: prior to the Rural Electrification Act (REA) of 1936, commercial providers had no economic incentive to stretch their lines into more sparsely populated areas. Post REA, a network of Rural Electric Cooperatives and later Rural Telephone Coops (under a 1949 Act), have brought lines to virtually all rural areas. This in turn has facilitated other types of development and investment. This title is among the oldest and most far reaching in the modern farm bill, emanating from the Morrill Land Grant Act of 1862. The original purpose was to establish and fund research in land grant institutions in every state. Today, these are among our most prominent research institutions, including MIT, Cornell, Cal Berkeley, Ohio State, and Texas A&M to name a few. The mission of the land-grant universities was expanded by the Hatch Act of 1887, which provided federal funds to states to establish a series of agricultural experiment stations under the direction of each state’s land-grant college. In 1890, a second Morrill Act provided cash grants for historically black colleges and universities. The outreach mission was further expanded by the Smith-Lever Act of 1914 to include cooperative extension — the sending of agents to spread the results of agricultural research to the farmers. Beyond the original land grants, each college receives annual federal appropriations for research and extension work on the condition that those funds are matched by state funds. Like the credit and rural development titles, the research title first started appearing as part of farm bill reauthorizations in the 1990’s. In 2008, a substantial change was made to consolidate certain USDA research functions into the National Institute for Food and Agriculture (NIFA), which coordinates and funds research and extension among the land grants and other qualifying research institutions. In the 2014 Farm Bill, a program was established to provide training, education, outreach and technical assistance to beginning farmers and ranchers. The 2002 Farm Bill created the first forestry title. The Agriculture Committees have jurisdiction of the U.S. Forest Service, which is part of USDA, but the Department of the Interior has jurisdiction of most federal land and forestry programs. The forestry title is a small part of the farm bill, but other forestry programs appear in other titles, especially conservation. Forestry programs are subject to appropriations. Increased interest in renewable and domestic sources of energy led to the creation of the energy title in the 2002 farm bill. The U.S. ethanol industry, which produces around 15 billion gallons per year, was facilitated by different laws, including the Clean Air Act, certain tax provisions, and the Energy Policy Act of 2005, but the farm bill energy title has played a significant role toward the development of advanced biofuels, as well as promoting energy efficiency and carbon capture. Some mandatory funds have been used in the energy title, but today all programs in this title are subject to appropriations. The horticulture title first appeared in the 2008 Farm Bill. It supports specialty crop and organic farming operations with provisions that provide trade promotion and risk management assistance that is comparable to those delivered in Title I for traditional staple crops. Funding for pest and disease management and disaster prevention were specifically increased in the 2014 farm bill. According to USDA, sales of specialty crops account for nearly one-third of U.S. crop cash receipts and one-fifth of U.S. agricultural exports. The Federal Crop Insurance Act permanently authorized Federal crop insurance. But due to its increasing prominence as the primary risk management tool for farmers, crop insurance policy has been amended in both the 2008 and 2014 farm bills. 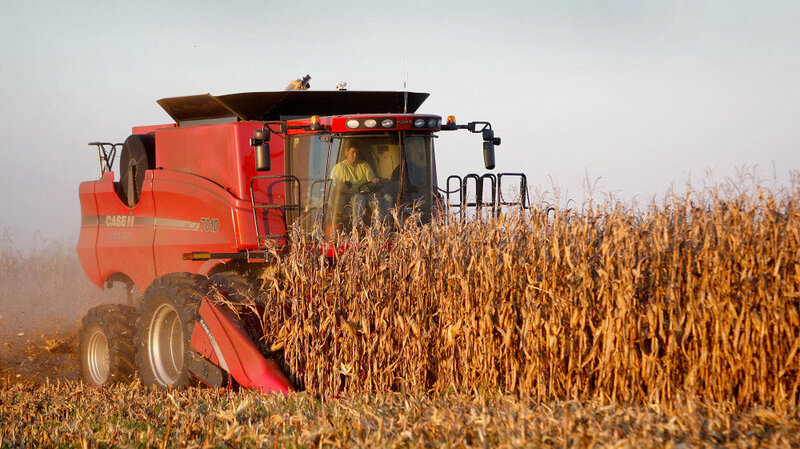 More than 100 crops are insurable under the 2014 Farm Bill with the adoption of two new programs. Since cotton is no longer included as a program crop under Title I, a policy called Stacked Income Protection Plan (STAX) was made available to cotton producers. Additionally, Supplemental Coverage Option (SCO) was introduced to address a portion of losses not covered by individual crop insurance policies. A provision to help beginning farmers and ranchers have access to crop insurance was also included. Federal crop insurance remains a crucial tool for farmers to protect against losses in yield, crop revenue, and whole farm revenue. Without federal involvement, multi-peril crop insurance would not be affordable for producers. Without multi-peril crop insurance, many farmers would be unable to gain the financing needed to operate. The miscellaneous title of the 2014 Farm Bill contains provisions to address various issues such as livestock production, job training to socially-disadvantaged and limited-resource producers, and outreach and technical assistance to military veteran farmers and ranchers.